For eighteen years, Jude Farraday has put her children's needs above her own, and it shows-her twins, Mia and Zach, are bright and happy teenagers. When Lexi Baill moves into their small, close-knit community, no one is more welcoming than Jude. Lexi, a former foster child with a dark past, quickly becomes Mia's best friend. Then Zach falls in love with Lexi and the three become inseparable. Jude does everything to keep her kids on track for college and out of harm's way. It has always been easy-until senior year of high school tests them all. Nothing feels safe anymore; every time Mia and Zach leave the house, she worries about them. On a hot summer's night her worst fears are realized. One decision will change the course of their lives. In the blink of an eye, the Farraday family will be torn apart and Lexi will lose everything. In the years that follow, each must face the consequences of that single night and find a way to forget...or the courage to forgive. I loved this book! I couldn't wait to be able to continue the story. It was one of the most emotional books I have read lately and although Jude's character was frustrating Kristin showed how grief can take over your whole life. This one is very emotional. At moments I found myself disliking the characters and then I found myself relating to them. 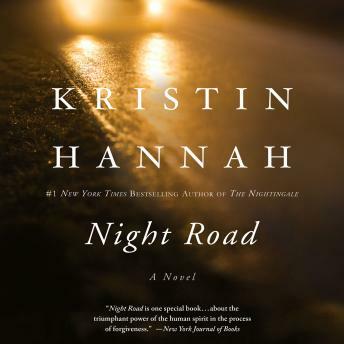 Kristin Hannah is one of the people I would give both my arms and legs to, to get to meet, have dinner, and talk books with. She is awesome, and is one of my favorite authors. Fabulous book! Firefly Lane is one of my favorite books ever! Night Road doesn't disappoint at all! Book got a little boring and the narrator made the female characters sound as if they were in middle school. Overall message was good. Good book but the mother Jude is so self centered that it started to irritate me.